The Père-Champagne Library offers services to the town’s residents as well as to surrounding communities. We have a large selection of books, magazines, DVDs, VHS and music CDs in French and in English. 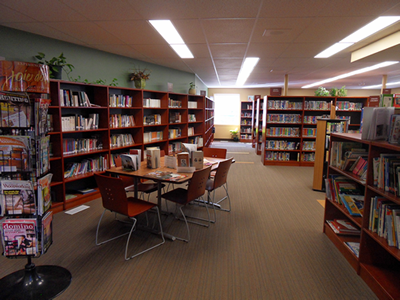 The library is open Tuesday to Friday from 9:30 am to 12:30 pm and from 1:30 pm to 4:30 pm. The Père-Champagne Library is located at 44 Rogers Street in the Centre Albert-Galliot wellness centre which houses a variety of health services such as the pharmacy, the clinic and the fitness centre. This establishment is located at the heart of a francophone community and its purpose is to offer bilingual health services to the local and surrounding population.